This plant originally came from Dennis Pearson's Sedum collection. It's parentage is undocumented and is up for speculation. It has an upright 'tree' form with a strong woody main trunk becoming branched part way up. It grows about 18 inches tall and has white clusters of flowers at the branch ends. 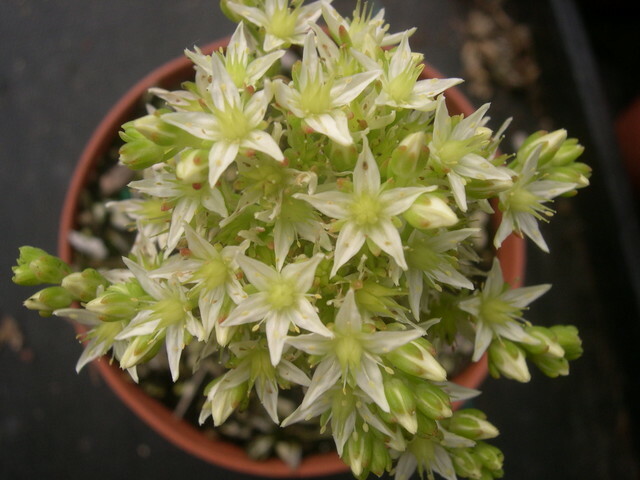 As I write this it is early February and my Sedum Pearson's Puzzle plants are all coming into bloom.